On Monday, October 3rd, the torch arrived in the third largest Amish and Mennonite community in the United States, LaGrange County, which is home to Shipshewana (3). The first known settlers of Shipshewana were a small band of Potawatomi Indians whose chief was named Shipshewana. The first known white settlers arrived in the 1830s to a lively place full of swamps and woodlands, an advantage for survival because of the abundance of wildlife and natural resources. Why else settle in present day Shipshewana? The St. Joseph River Valley, which is located near Shipshewana, was full of lakes, rivers, deer, beaver, and other small game (1). The red arrow points to where Shipshewana is located. This map shows the various rivers and lakes surrounding Shipshewana in the northeastern part of the State. With the abundance of waterways nearby, settlers and natives could use canoes to travel and trade through the northern half of the state. Potawatomi men and women were assigned certain tasks- the men were using the canoes to hunt and protect their families, while the women tended to the gardens of corn, beans, and squash (1). The St. Joseph River Valley area proved to be a place of true wealth through its access to essential resources and transportation routes. Following President Thomas Jefferson’s purchase of the Louisiana Territory from France in 1803, the Potawatomi Indians felt their homeland growing smaller and smaller. The United States had immense war debts from the American Revolution and War of 1812. One solution to the debt was to negotiate treaties and push the Potawatomi and other Indian tribes west of the Mississippi River (1). 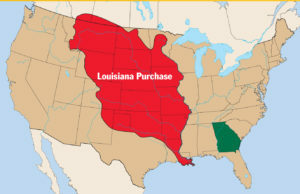 This is a map of all the land acquired following the Louisiana Purchase in 1803. Soon came the Indian Removal Act signed by President Andrew Jackson on May 28, 1830. This act gave the president the ability to exchange unsettled lands west of the Mississippi for Indian lands existing within state borders (2). All Indian tribes were impacted by this act; some went peacefully, but others resisted this relocation policy. In the later half of the 1830s the “Trail of Tears” took place, displacing over 4,000 Cherokee Indians (2). Another forced march took place on September 4, 1838. This march consisted of nearly 1,000 Potawatomi men, women, and children from the northern part of Indiana to the Osage River in Kansas (1). In the 1880s, Shore, a small town south of present-day Shipshewana, came to life as a result of the opening of a sawmill, post office, school, church, and a few other business establishments. Shore began to move closer and closer to Shipshewana after its first railroad came through from Goshen, Indiana on its way to Battle Creek (1). After the construction of the railroad, the town began to grow dramatically. Buildings grew in size, and so did the population, now up to thirty-five residents. Only a few residents owned land, but it was a popular commodity. A hotel and many three-story buildings were erected, which contributed to the growth of Shipshewana (1). 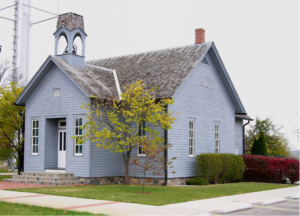 The first schoolhouse was built in 1893 and it stands in the same place today. This is a picture of where the first school house was built in Shipshewana (1893). The town was divided into the east and west half. In 1900, a big fire took out a whole block of the west side. It was rebuilt, but a few years later it was destroyed again. In 1902, the east side was struck by a fire destroying a three-story building that housed small businesses (1). Despite all the fires, Shipshewana made use of the resources in its surroundings, such as timber. In 1900, the Valley Line was built and Shipshewana now had two railroads. Not long after railroads were built, cars become a high commodity for many residents of Shipshewana, and as a result railroads were torn up due to the lack of use (1). Shipshewana has even more history. Mennonite people, who were being persecuted in Europe by the church, fled to the United States, and sought the refuge of Quaker William Penn of the Pennsylvania Colony. After awhile, a few of the Mennonite decided to head west into present-day Indiana. After the men explored the area, they went back to get their families and settle in what is now present day LaGrange County (1). This area held all the resources and amenities that these families needed, one being fertile soil. Once more and more families made the month long journey from Somerset, Pennsylvania to LaGrange County, churches were established, the first in 1841. The Mennonites were not the only people who began to inhabit present-day Shipshewana. In 1840, many Amish traveled from Somerset County, Pennsylvania to the Western United States, such as Indiana (1). 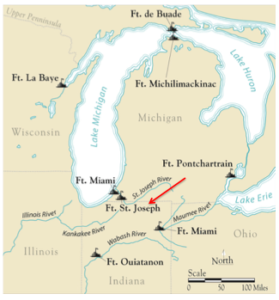 A group of men made the journey west from Pennsylvania through Pittsburgh, down the Ohio River, up the Mississippi, parts of Iowa, and into Lake Michigan, eventually taking a boat up the St. Joseph River (1). These families brought minimal belongings, but they did bring horse-drawn wagons across state lines to begin their own settlement. On top of being home to 658 people, Shipshewana today is home to an Indiana Bicentennial-themed corn maze (5). Gary Helmuth of Shipshewana is the organizer behind the creation of this historical piece of agriculture. This is not the first time a corn maze has been designed to represent something more than just corn. Helmuth tells Agri News that “the idea was cooked up last year at a family reunion and has grown since.” The maze consists of 17 acres that represent Indiana’s history and culture, including an image of a race car (4). The maze is open on Fridays and Saturdays until November 5th. 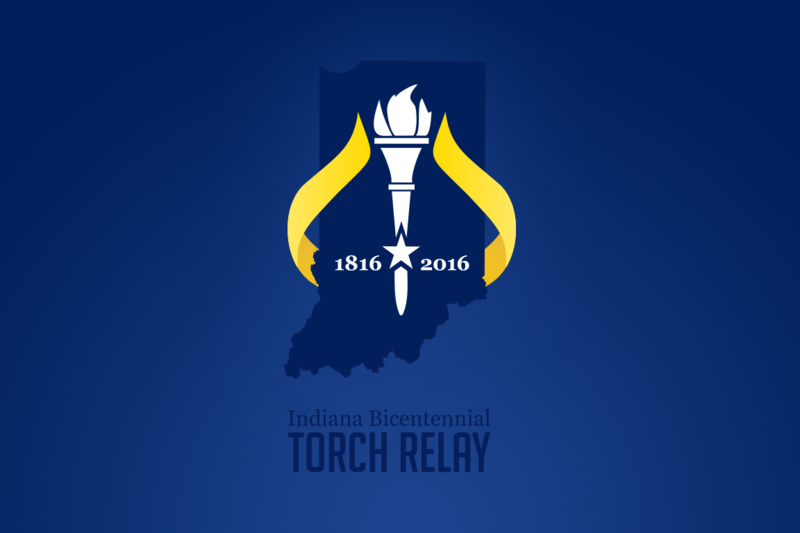 Click here to view more about the Indiana Bicentennial Corn Maze!